Spent about AUD $160 / SGD $170 per person. 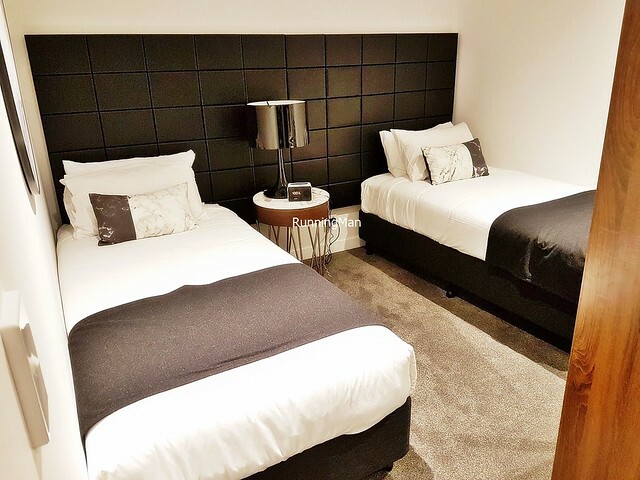 Located about 40 minutes drive away from the Kingsford Smith international airport in Sydney, the Silkari Suites Chatswood is a spacious, modern serviced apartment, conveniently located admist the self-contained town of Chatswood. 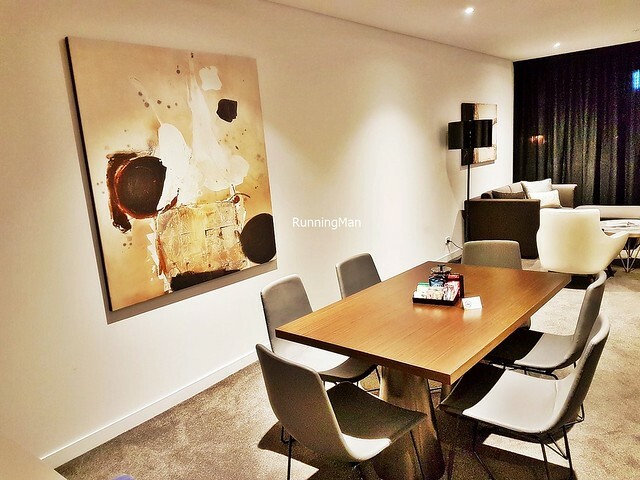 Perfectly positioned, its location is near enough to the city centre, yet far enough away that it's removed from the hustle and bustle, and the crawling traffic jams of the city. 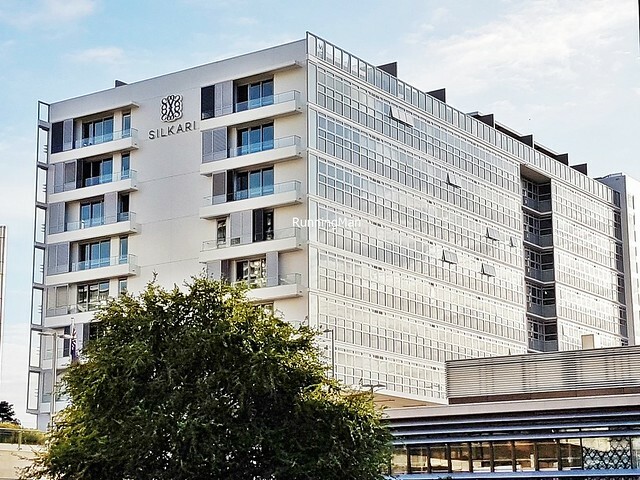 Instead, Silkari Suites Chatswood benefits from its relaxing surroundings, and is suitable for both business and leisure travellers, especially those in groups. 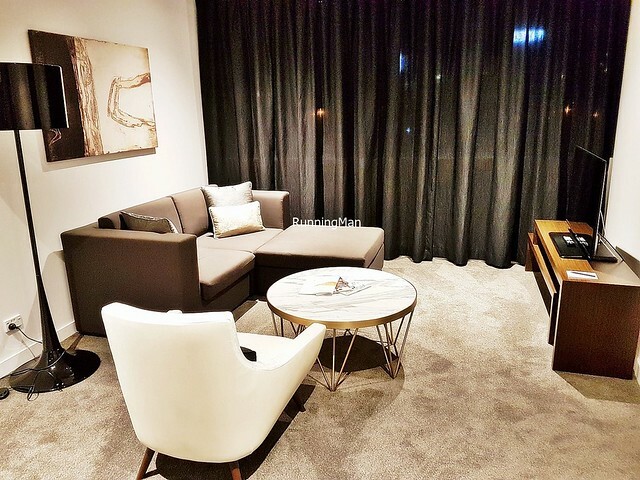 Ambience at Silkari Suites Chatswood is clean, modern, functional, almost sleek. The polished, shiny marble decor lends an air of elegant sophistication, as do the modern furnishings with wavy, smooth lines. A large, plush teddy bear greets you at the entrance, along with warm complimentary muffins. Tucked away in a quiet street, the area is calm and unhurried. With its spacious, brightly lit corridors, the place looks huge. 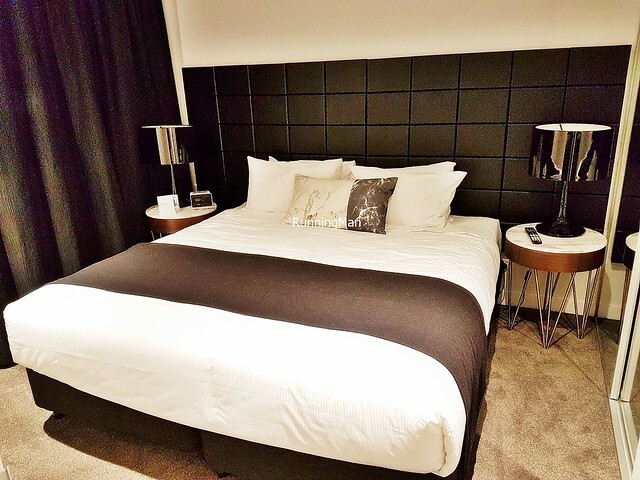 Rooms at Silkari Suites Chatswood are the highlight. 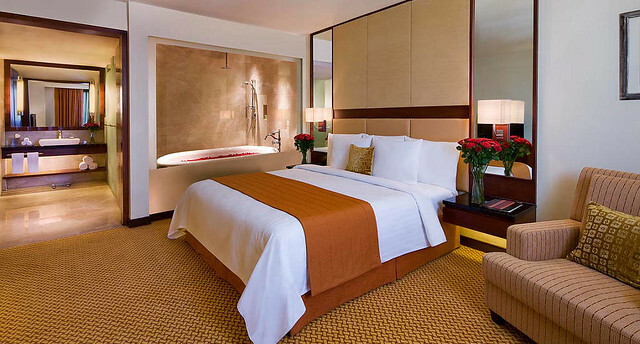 The spacious, brightly lit rooms are comfortable and cozy. Beds are large and soft, there is both a living area and dining area, as well as a fully equipped kitchenette. 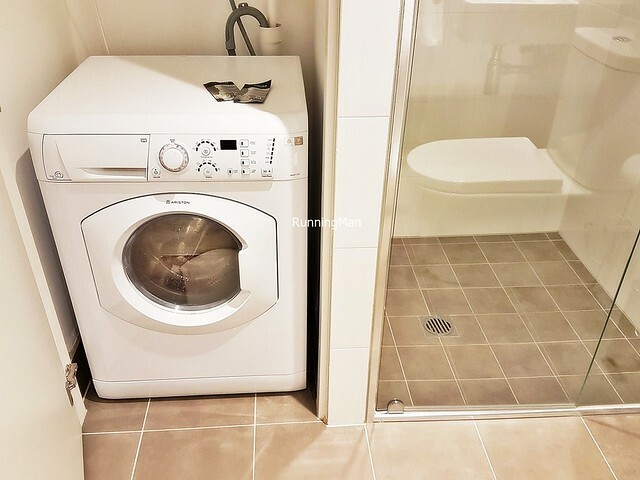 A combination washer and dryer is provided, though I find this not so efficient as a dryer. 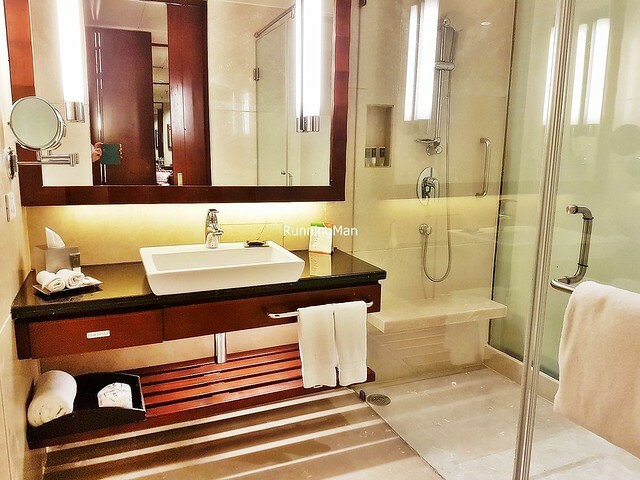 Bathrooms are clean, spacious, and stocked with bespoke bathing amenities, made with green tea. The dual televisions offer cable channels, as well as free movies which feature Australian stars. 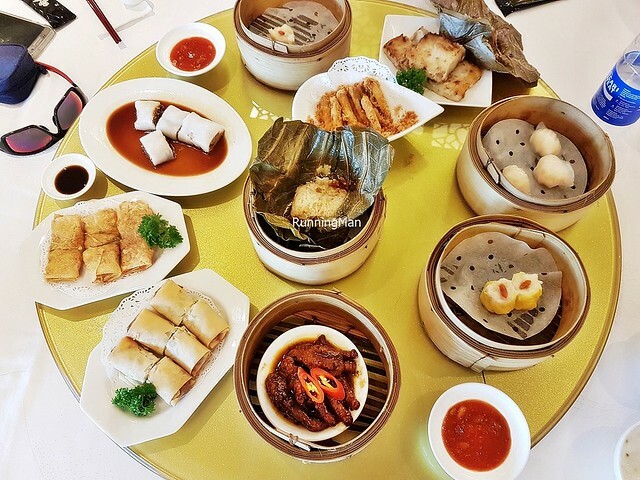 Food at Silkari Suites Chatswood is non-existent, as the place does not have an in-house restaurant or cafe. 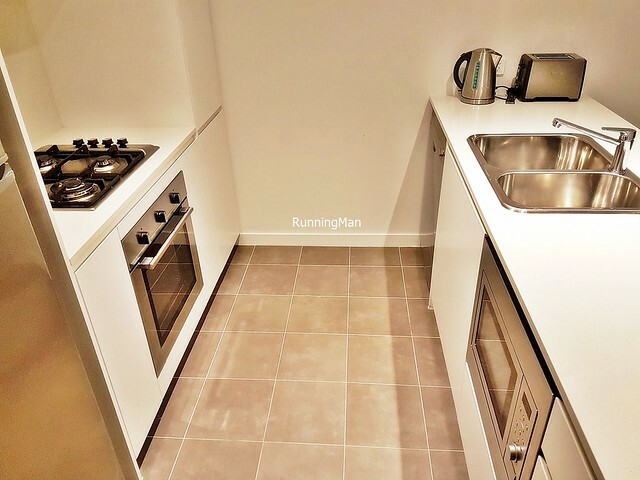 Instead, staff are able to assist you to purchase food from nearby stalls around the area, but because it's so convenient, you're much better off going out to eat yourself, or cooking in with the fully equipped kitchenette within each apartment. Service at Silkari Suites Chatswood is decent, if encountered. There was little need for us to interact with staff, but when we did, staff displayed professional, polite courtesy. They greeted us along the hallways, and were helpful with requests. The only drawback I experienced was with parking; we needed to draw a pass from the lobby staff, drive the car out, then return the pass, which is an inconvenient approach to parking. And this is on top of having to pay for parking. Otherwise, decent service standards here. The facilities and activities at Silkari Suites Chatswood are very limited. 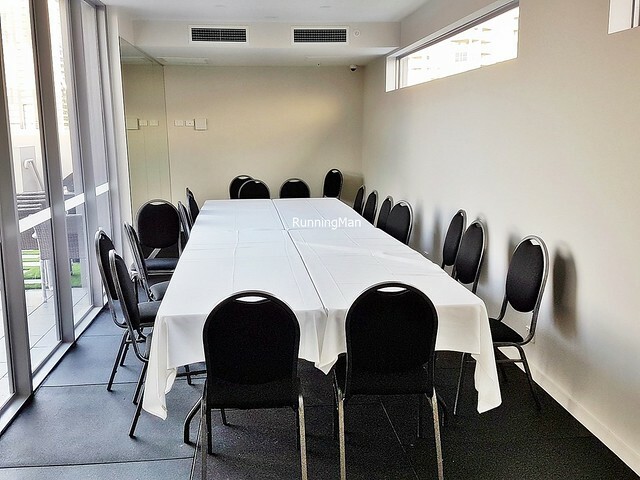 Despite marketing materials which mention a gymnasium, we discovered it has since been converted into a meeting room. 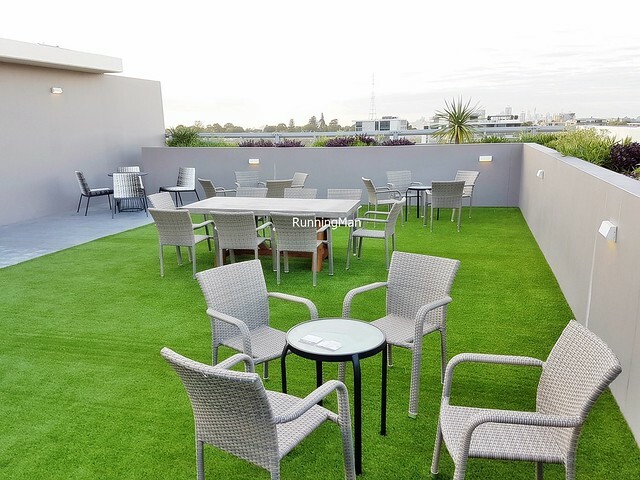 Besides this, the only other facility here is their rooftop garden, which allows guests to hold barbecues, and offers a view of the small town of Chatswood. 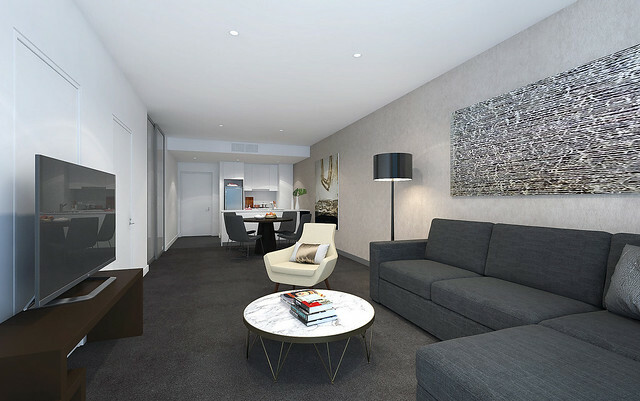 But where Silkari Suites Chatswood stands out is the close proximity to the town; there are shopping malls, schools, restaurants, bars, cafes, pharmacies, hospitals, churches, even a little Asia district, all within walking distance. And it's a short drive to the city centre of Sydney. Love the location, and the peaceful surroundings. Would return again if possible. The former capital of the state of Gujarat in India, Ahmedabad today remains an important economic and industrial hub. The place is known for its strong education, medical, sports, and technology industries. Despite having few tourist attractions, Ahmedabad has a long cultural history, and a wide variety of festivals such as Uttarayan, an annual kite-flying event held every January. Here are the Top 5 Tourist Attractions to visit in Ahmedabad, all of which hold important cultural or historical significance. All these are permanent locations which can be visited and viewed at any time throughout the year. 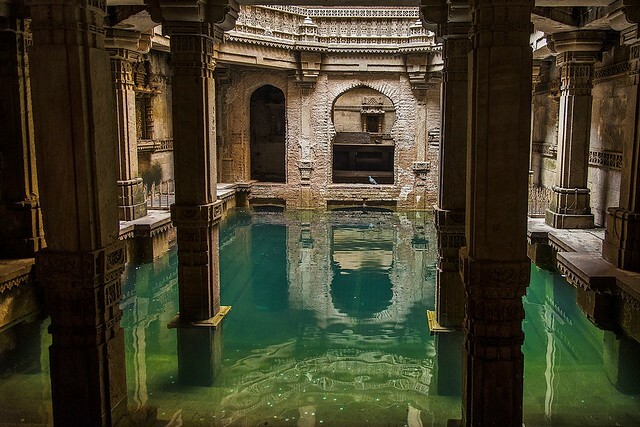 Located in the village of Adalaj, close to Ahmedabad in the Gandhinagar district of the state of Gujarat, the Adalaj Vav Step-Well is the finest example of its kind, which are common throughout West India. In ancient times, these places provided water for drinking, washing, and bathing, and were also venues for colourful festivals and rituals. Built with sandstone in the Solanki architectural style, the structure is 5 stories deep and shaped like an octagon, with intricate carvings adorning the walls. On the banks of the River Sabarmati, in Ahmedabad, Gujarat, is the Sabarmati Ashram. As the main residence of Mohandas Karamchand Gandhi, also known as Mahatma Gandhi, the leader of the India independence movement, the place has strong cultural significance, and the government has since preserved and converted it into a museum. 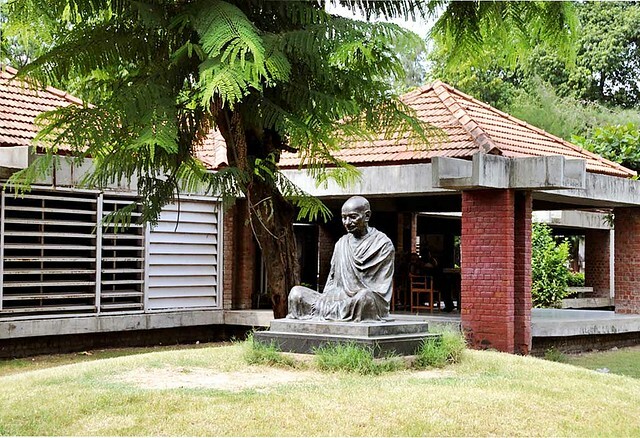 Spanning 5 galleries, with artefacts related to Gandhi such as his teachings, paintings, photographs, letters, books, relics, and more, the museum offers insights into his life work. 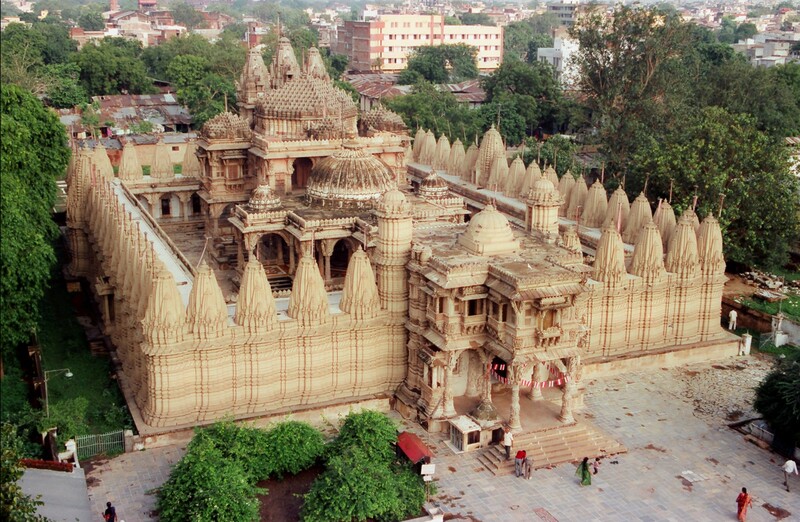 The best known temple in Gujarat, India, the Hutheesing Jain Temple was constructed in 1848. Commissioned by a wealthy Ahmedabad trader and his wife, the double-storied structure was built during a time of famine, and its construction employed hundreds of skilled artisans, keeping them employed and fed for over 2 years. It is beautifully adorned with exquisite, ornate carvings and sculptures, capped off with unique ridged domes. As one progresses into the area, the artwork becomes increasingly complex, yet maintains a dignified beauty without confusion. 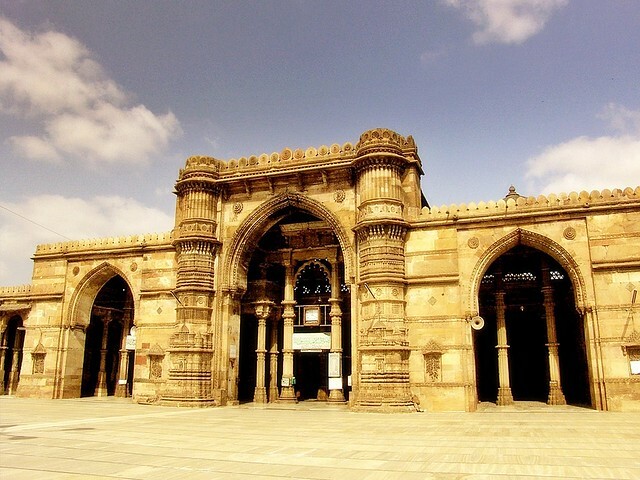 The Jama Masjid / Jumma Mosque is the most splendid of its kind in Ahmedabad. Built in 1424 within the old walled city and originally intended for private use of the ancient sultans of Gujarat, the sprawling complex is noted for its use of Indo-Saracenic architecture, which combines styles from India and Victorian England. The main prayer hall has over 260 columns supporting the roof and its 15 domes, making a walk through the hall a beautiful maze of light and shadows. Also located nearby is the Bhadra Fort, with its palace, clock tower, and the Teen Darwaza triple gateway. 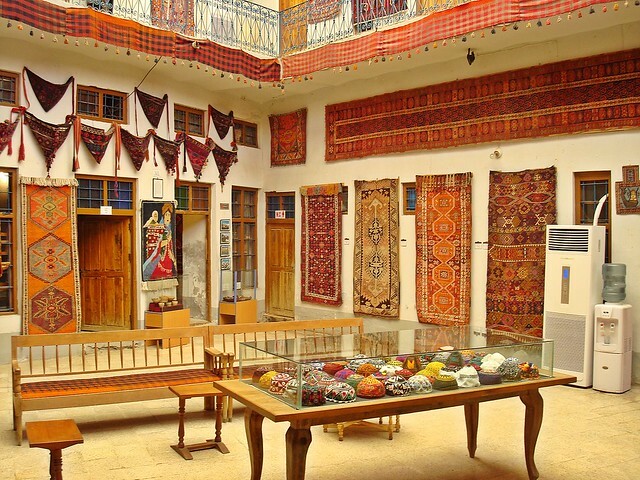 The Calico Museum Of Textiles showcases the rich history of the textile industry in Ahmedabad, Gujarat, India, and is among the foremost textiles museums worldwide. Highlights here include exquisite handmade pieces from the courts of the royal Mughal empire, exhibits on textile making techniques, elaborate tribal garments, festive clothing, and regional embroideries of the 19th century. As a private museum belonging to the Sarabhai family, advance reservations are essential as visitors are limited to 20 people per day. 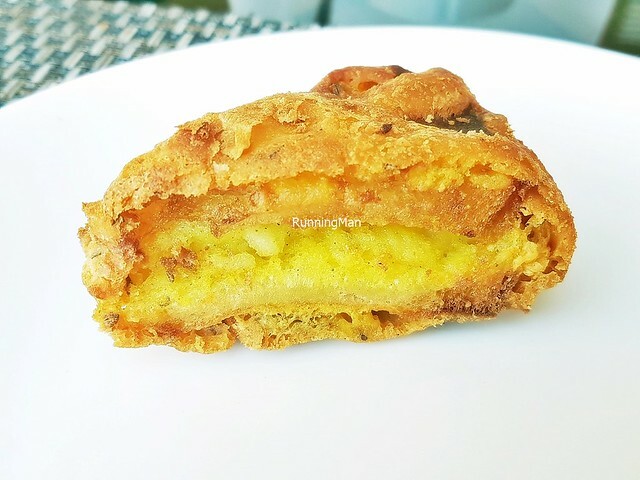 Ahmedabad Street Food and the larger cuisine of the state of Gujarat stands apart from the other cuisines in India, with its special distinctive characteristics. 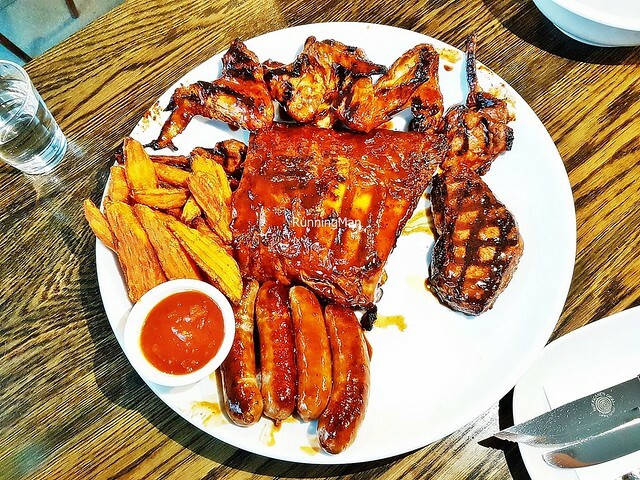 Being largely vegetarian, there is a noticeable lack of meat and seafood here, and what little there is usually consists of either chicken, fish, or prawns / shrimp. 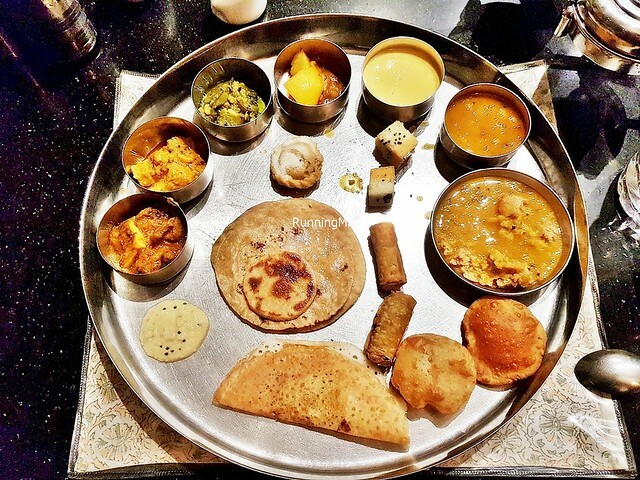 However, they have an extensive and varied list of vegetarian dishes, many of which are unique. 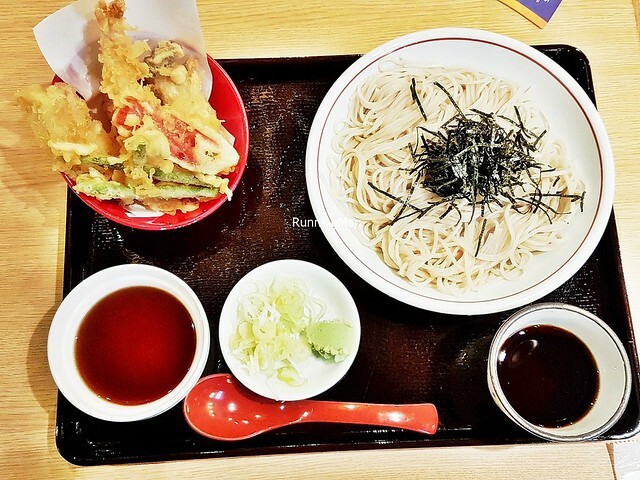 Taste profile of most dishes here also tends to be more sweet and salty than elsewhere in the country. Spent about INR ₹40,000 / SGD $845 per person. 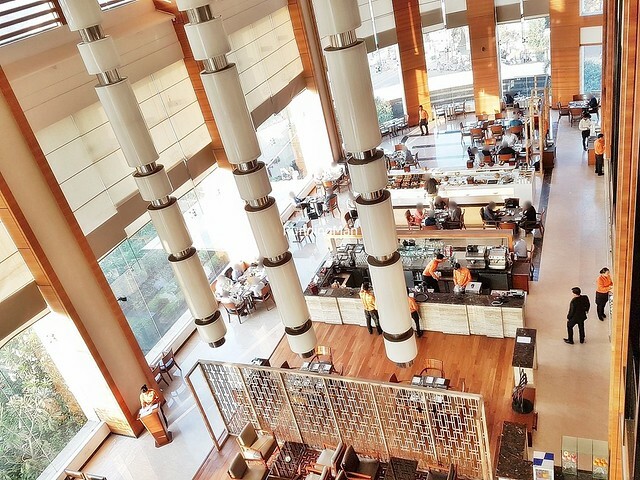 Located about 50 minutes drive away from the Sardar Vallabhbhai Patel international airport in Ahmedabad, the Courtyard By Marriott Satellite is a modern, luxurious 5-star hotel with excellent, personalised service. 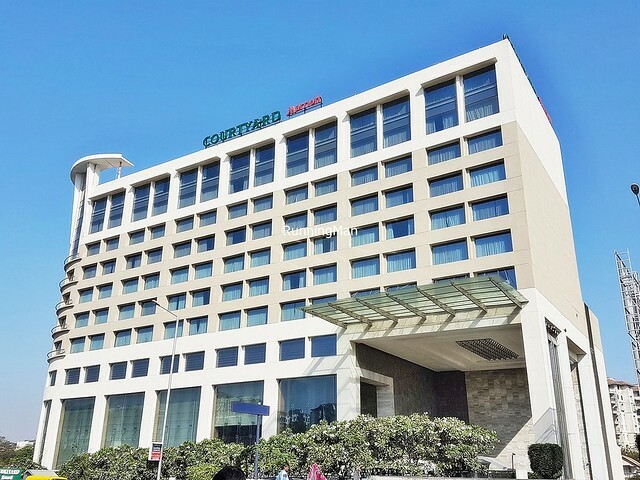 Near several major shopping malls and tourist attractions, the Courtyard By Marriott Satellite is well positioned as both a leisure and business hotel. They are also one of the few places in the state of Gujarat, India, which has a licensed liquour store. Ambience at Courtyard By Marriott Satellite is clean, brightly lit, modern, and comfortable. 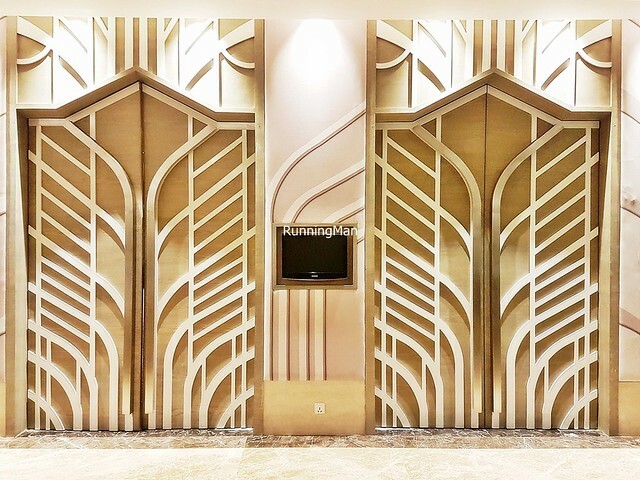 The lobby feels spacious because of its open concept and high ceiling, exuding a sense of sophisticated luxury through the sleek white marble and wooden panels. 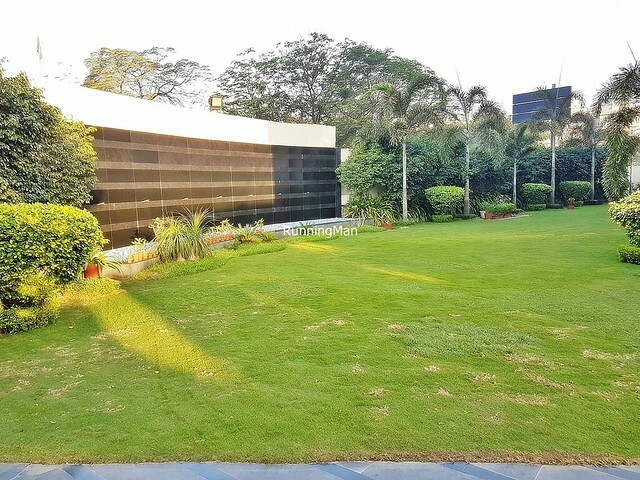 Tasteful artwork, portraying snippets of everyday life, adorn the walls, while a water feature serves as the base for a flower arrangement, which changes daily. At each level, a shoe polishing machine is available for use. Wifi throughout the hotel is fast and stable, though this comes at a price. Rooms at Courtyard By Marriott Satellite are clean, spacious, and comfortable. The warm wood and white tones of the room are relaxing, and the cable television has a wide variety of movie channels. 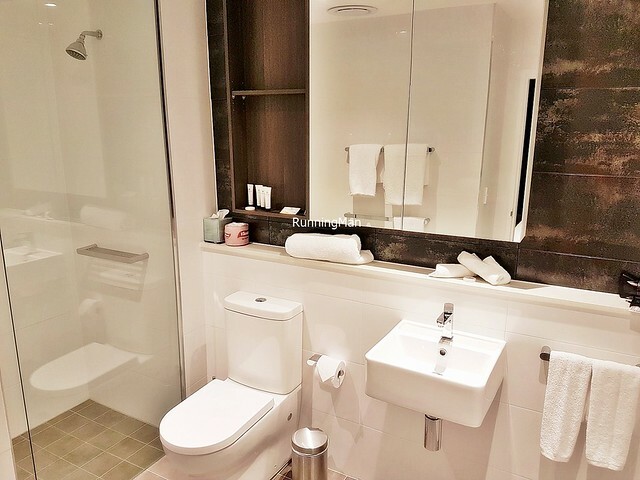 The bathroom is spacious, with a standing shower that has both shower and rainfall options. 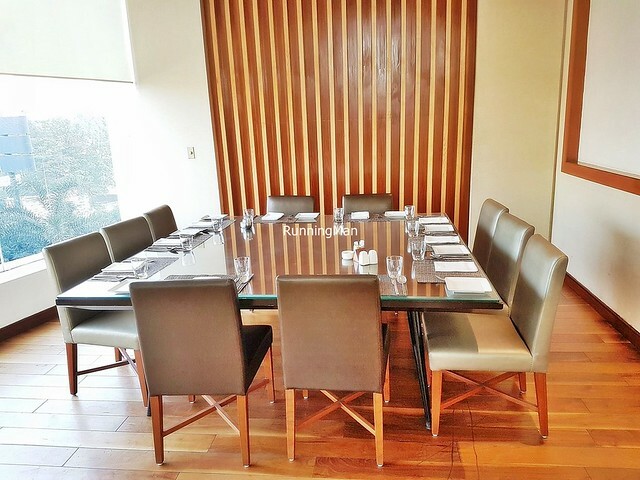 Staff keep the room well stocked with amenities, and the lighting, phone lines, and wifi in the room work great. However, my in-room clock constantly displays the wrong time, and the multi-plug power sockets can be a little loose. 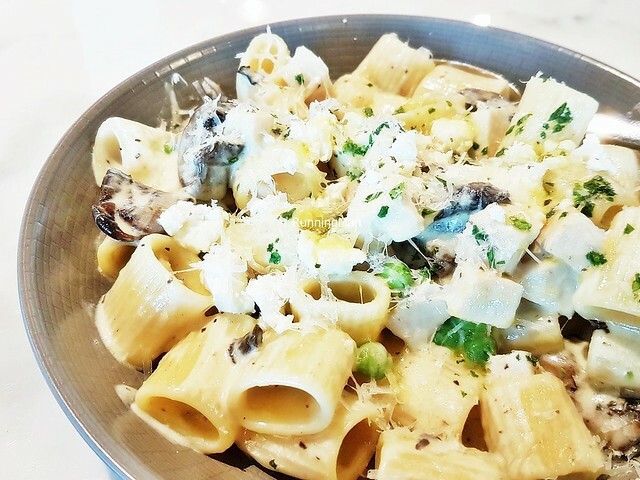 Food at Courtyard By Marriott Satellite is mostly provided by the MoMo Cafe. 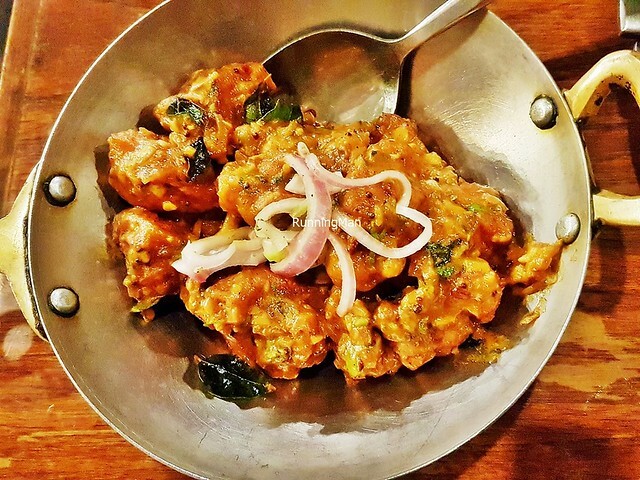 The chefs produce excellent, tasty Indian and Gujarati cuisine, these dishes are consistently well-executed and delicious. The Western options are alright, passable enough, though limited in variety. 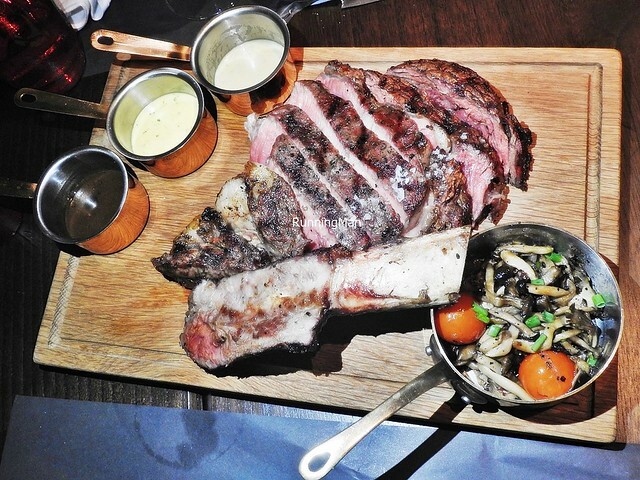 However, I love that chefs are able to take special, off-beat requests, and execute special dishes not in the menu. Very pleased with the creativity and skill in making these special requests. I also like that staff are enthusiastic in showcasing their cuisine, and will readily soffer recommendations. 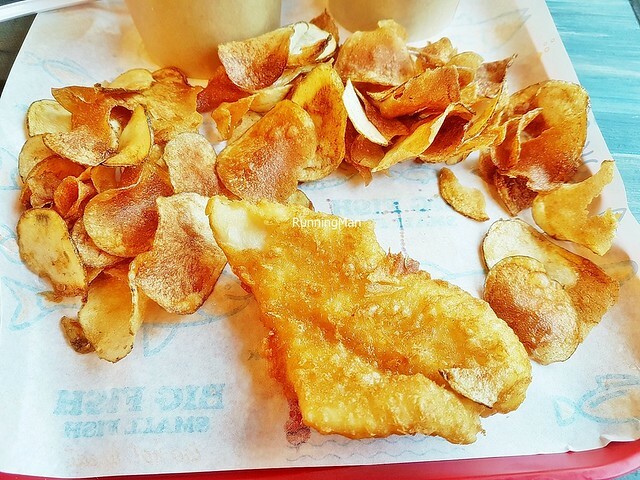 They also regularly check for feedback throughout your meal, and will offer additional suggestions. Memorable. Service at Courtyard By Marriott Satellite is excellent, top-notch. Among the best I've ever experienced in any hotel. Staff are warm, friendly, efficient. Walk by them in the halls, and they'll greet you. Linger, and they'll ask if they can do anything to assist, or check for feedback on your experience. They acceded to several special requests I've had, and performed them efficiently. 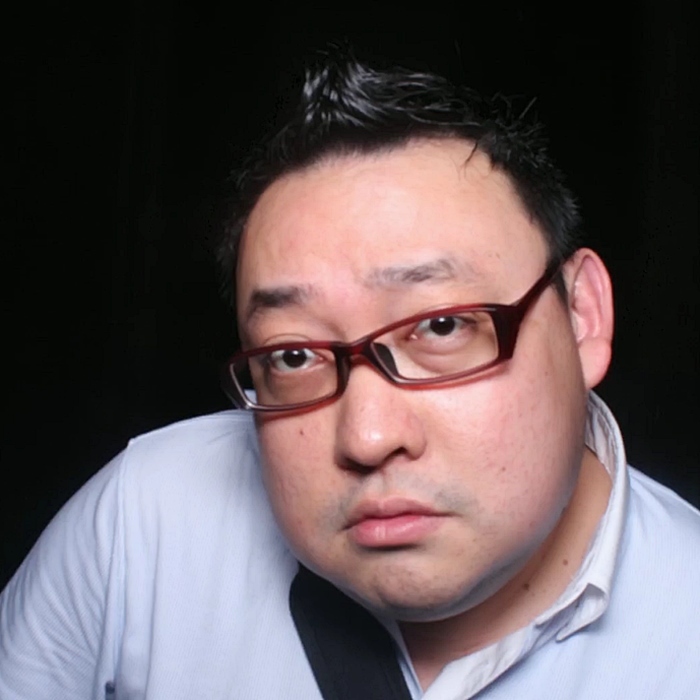 They remember you, and make efforts to personalise the experience. Feels totally comforable, well taken care of, and pampered even. Absolutely love the service here, completely memorable. 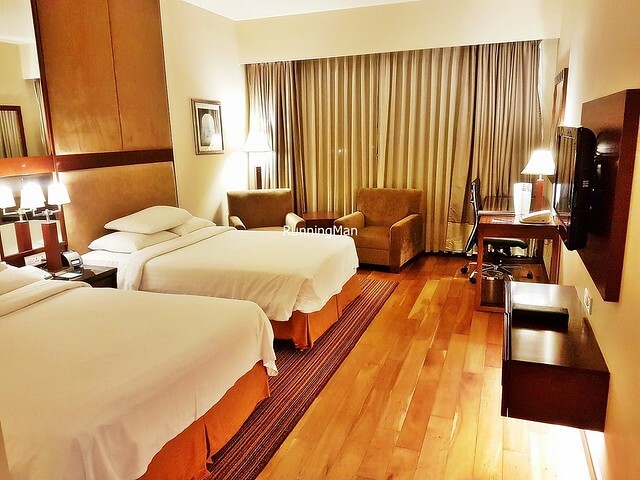 The facilities and activities at Courtyard By Marriott Satellite are decent enough. 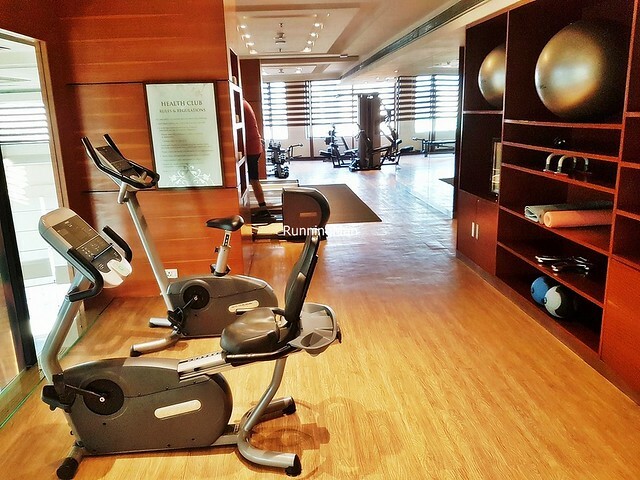 The gymnasium is well equipped with a variety of workout machines, and spacious enough for several people. 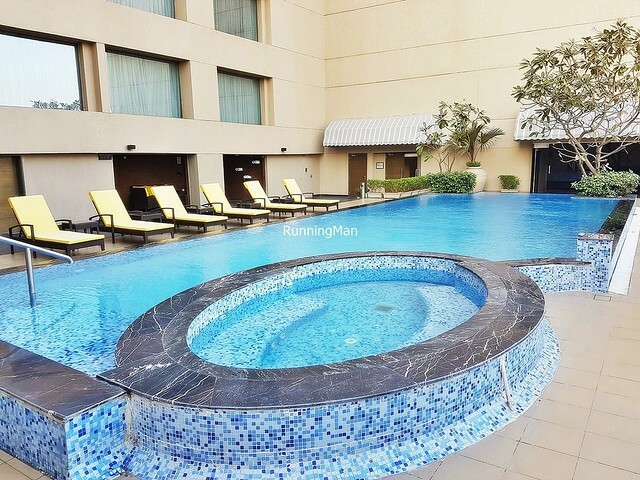 The swimming pool is a decent size, with a small whirlpool, and offers a good view of the city. Birds are kept away from the pool by a mesh netting, which stretches all the way from the roof to the pool. 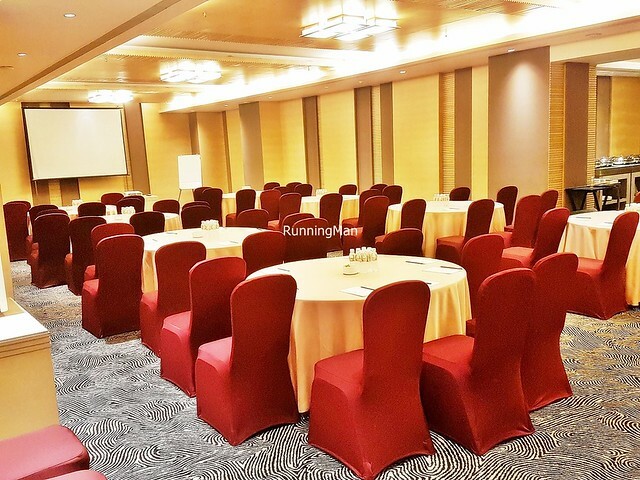 Conference rooms are large and well-equipped, though they lack small size meeting rooms, unless you include the business centre. Also, I notice there isn't much entertainment options for children. 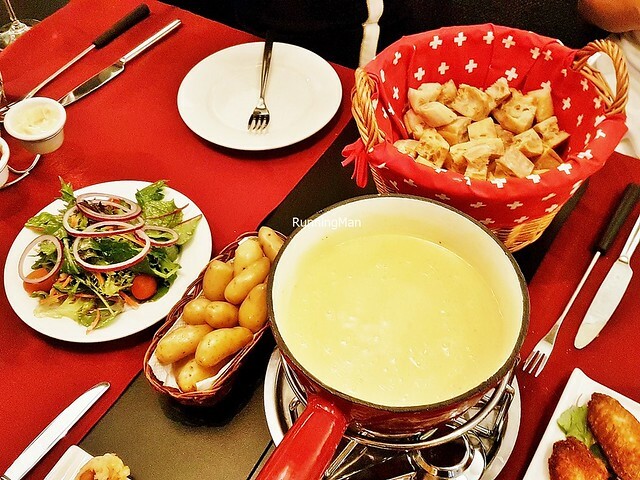 Overall, I loved the experience at Courtyard By Marriott Satellite, and would return again. 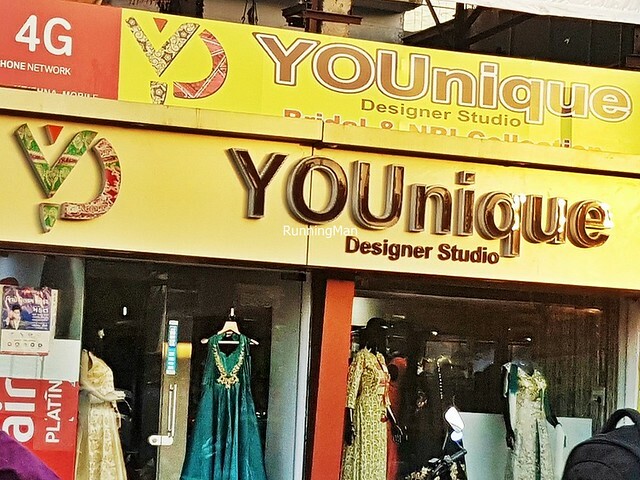 Some examples of the shops in Ahmedabad, whether along the streets or within the shopping malls. 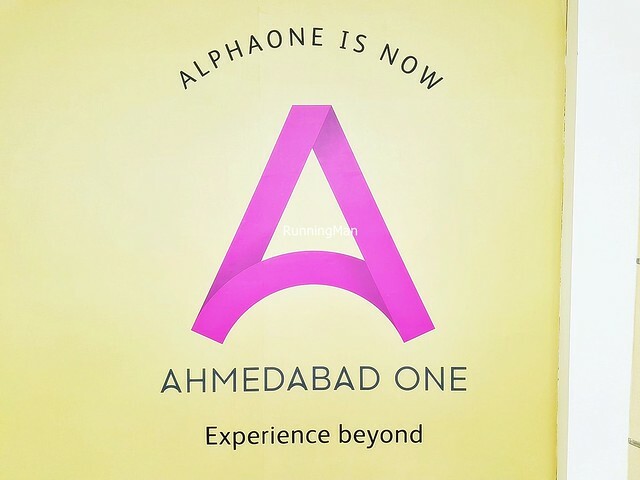 Snapshots of some of the shopping malls and markets in Ahmedabad.